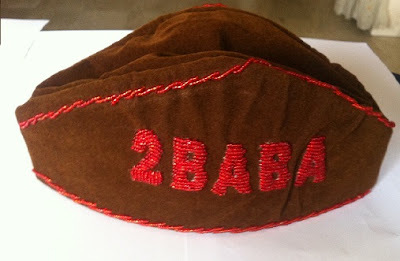 Nigerian singer 2face Idibia is planning to auction his traditional wedding hat and shoes for charity purpose. According to sources, the African queen crooner followed the footsteps of late singer Goldie who willed all her properties for charity purpose even before her untimely death. 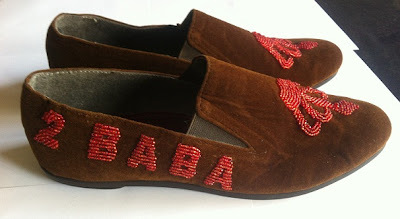 Who will buy 2baba’s cap and beaded shoes?… Let’s wait until the auction begins. Good idea if he will really done such. 2baba carry those tin go Auction them 4 Dubia,i tink u wil make more money 4m them,besid u did ur weddn there.so go bk there.Who be fool? This idiot thinks he is smart how does 2face second hand cloths benefit the less privilege? If you are not ready for money donation you can as well go to hell for all i care after all Dubai is within your reaah. Pls stop insulting Nigerian’s sensibility. They need no such gift from you. I Laughed,laughed and laughed nearly fall down from my chair when i read previous comments.Now not about the artist in question at all at all, but rich ppl generally.They are the probs of poor masses,excpt some minute few among them.Take Ng, as example.Ng riches and oil is respected abroad, but see what is happening.God says u respect the rich,despise the poor,do not rich men oppress you.James 2.2-6. Lazarus died b4 the rich man died,Lk. 16.22.the poor and the rich will die,but lets leave an impact and remember the masses meaningfully.Further still ppl in gov will need med/care they will run abroad, are there no hospitals in Ng.? True talk confidence.Who wants to wear a shoe with 2 baba written on it.Riduculous if you want to help,help by donating cash to pple that truly need it.After all u get plenty awof for ur wedding.Stop fooling urself. Lmao… In 9ja, wit his name all over evrytin yhu don’t xpect any1 to wear dem around, am sure no 1 iz gonna buy dem and just kip dem. 2baba, ar yhu sure yhu ar nt broke?